UNITED NATIONS, Aug 29 2014 (IPS) - Civil society leaders and U.N. development experts gathered on Wednesday to discuss the role of education for global citizenship in the post-2015 development agenda. 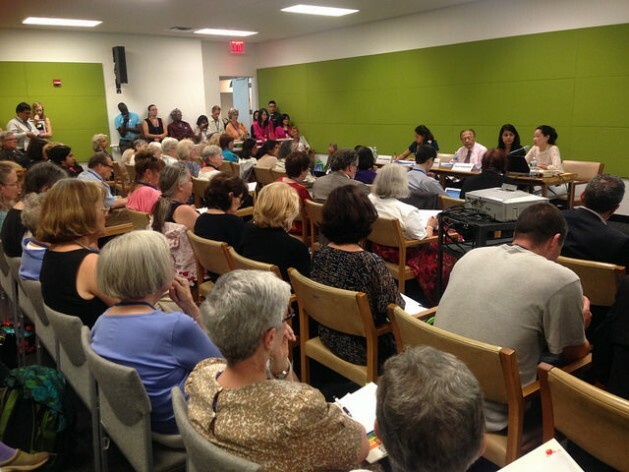 The workshop, sponsored by Soka Gakkai International (SGI), was part of the U.N.’s 65th Annual Department of Public Information/Non-Governmental Organization (DPI/NGO) Conference. Education “is linked to all areas of sustainable development and is vital in achieving all Sustainable Development Goals and targets,” Hiro Sakurai, SGI’s U.N. liaison office director, told IPS. “Education for global citizenship deserves particular attention and emphasis in this regard as it helps link issues and disciplines, brings together all stakeholders, and fosters shared vision and objectives,” he said. Ambassador Anwarul Chowdhury, former under-secretary general and high representative of the U.N., gave the event’s keynote address. He expressed his excitement at the increased prominence of global citizenship in development circles. Saphira Ramesfar of the Baha’i International Community also spoke to the transformative nature of global citizenship. In the past, attempts to build global citizenship have focused on the young, but Ambassador Chowdhury argued for a more expansive understanding of the concept. “I believe that education for global citizenship is for all of us, irrespective of our age, irrespective of whether we are going through a formal education process or not,” Chowdhury said. Anjali Rangaswami of the U.N. Department of Economic and Social Affairs explained how NGOs have actively participated in the crafting of the proposed Sustainable Development Goals (SDGs). Past years have set “a very high standard for civil society engagement,” according to Rangaswami. The Millennium Development Goals (MDGs), set to expire in 2015, included a target of universal primary education. The SDGs, if adopted in their current draft form, would aim for universal secondary education as well. Under target four, the SDGs specifically mention education for global citizenship, an issue left unaddressed by the MDGs. The U.N’s Global Education First Initiative (GEFI), which lists “fostering global citizenship” as one of its three main priorities, was influential in this new development. After the panel speakers concluded, participants in the workshop broke into small groups to share their own perspectives on education for global citizenship. The event was also co-sponsored by the Baha’i International Community, Global Movement for a Culture of Peace, Human Rights Education Associates, Sustainable Development Education Caucus and Values Caucus, bringing a wide variety of expertise to the table. The SDGs are an opportunity for a whole new outlook on education. Education should be focused on developing meaningful lives, rather than focused on making a living, Ambassador Chowdhury told IPS.